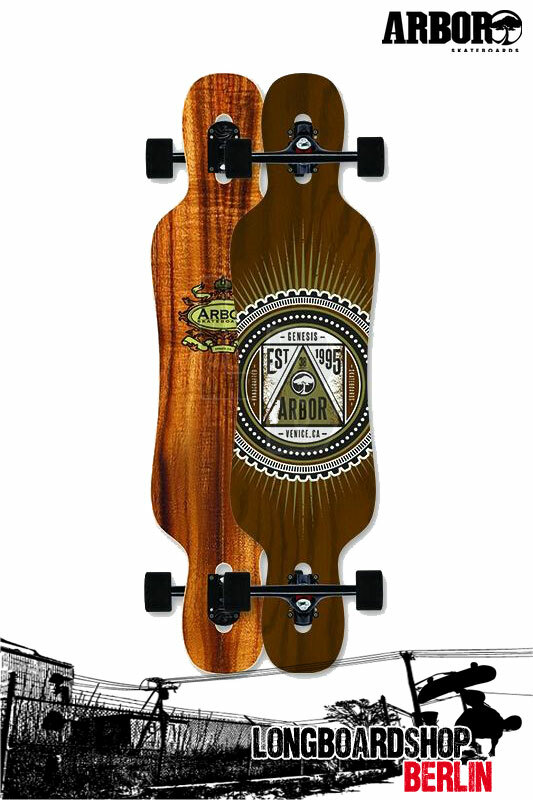 Certified Arbor Completes are fully assembled skateboards built using select, high-end components that complement the performance and geometry of each of our shapes. Certified Completes include: Sucrose Initiative Wheels, Double Shield ABEC 5 Bearings, Caliber Trucks (Gullwing Sidewinder on the Zeppelin), Blood Orange bushings, and of course a handmade Arbor deck. Each package takes into consideration: the angle, geometry, and size of the trucks; the size, shape, and durometer of the wheels; the hardness and rebound of the bushings; the placement of wheel wells; and all aspects of shape. When buying an Arbor, look for this symbol, and insist that your complete comes with components approved by Arbor Skateboards.